Many of Google’s public APIs are documented/discoverable by a single API called the Discovery Service. Google’s Discovery Serivce provides machine readable specifications known as discovery documents (similar to Swagger/OpenAPI). e.g. Google Books. In essence, Aiogoogle is a feature-rich, yet easy to use Pythonic wrapper for discovery documents. For a list of supported APIs, visit: Google’s APIs Explorer. Check out https://github.com/omarryhan/aiogoogle/tree/master/examples for more. Create a project: Google’s APIs and Services dashboard. Enable an API: API Library. After choosing an API, get the API’s name and version from the URL as they will be needed later. Now that Aiogoogle and your Google account are set up, let’s start! "Retrieves a list of URLs shortened by a user." # Google probably meant "awesomelis", but whatever..
Should be used whenever you want to access personal information. Also, Aiogoogle supports Google OpenID connect. Should be used when accessing Public information. For most personal information, an API key won’t be enough. You should use OAuth2 instead. Useful if you run an application on any of Google Cloud Products. The service that aiogoogle acts as a client to. e.g. Google Analytics, Youtube, etc. Do not copy and paste the following snippet as is. The error and return messages shown below are very verbose and aren’t fit for production. If you’re performing OAuth2 via Authorization Code Flow, you shouldn’t hand the user their tokens. state = create_secret()  # Shouldn't be a global hardcoded variable. # Shouldn't be a global or a hardcoded variable. "Client doesn't have enough info for Oauth2"
Aiogoogle does not and will not enforce the use of any async/await framework e.g. Asyncio, Curio or Trio. As a result, modules that handle io are made to be easily pluggable. Main entry point for Aiogoogle. In case you want to instantiate a custom session with initial parameters, you can pass an anonymous factory. e.g. It is recommended that you explicitly specify an API version. When you leave the API version as None, Aiogoogle uses the list_api method to search for the best fit version of the given API name. This will result in sending two http requests instead of just one. 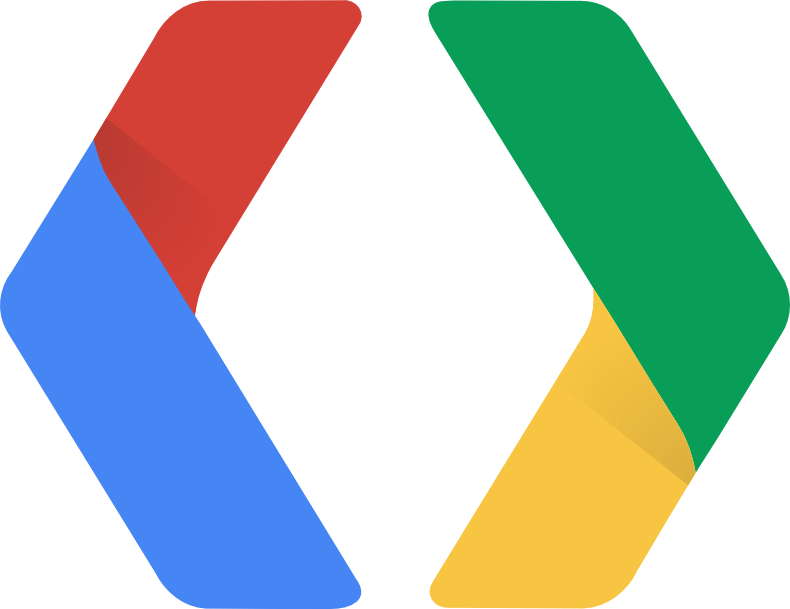 The discovery.apis.list method returns the list all APIs supported by the Google APIs Discovery Service. The data for each entry is a subset of the Discovery Document for that API, and the list provides a directory of supported APIs. If a specific API has multiple versions, each of the versions has its own entry in the list. name (str) – Only include APIs with the given name. preferred (bool) – Return only the preferred version of an API. “false” by default. fields (str) – Selector specifying which fields to include in a partial response. This method will first check in resources then will check in methods. method_or_resource – Name of the method or resource desired. This method will first check in nested resources then will check in methods. When passing datetime.datetime or datetime.date pass them in json format. to check if there’s any datetime objects. Fortunately Python makes it really easy to achieve that. These are the default auth managers. They won’t perform any file io. If you want auth managers with file io capabilities, then you’ll have to implement AbstractAuthManager’s interface or inherent from any of this module’s managers. In most cases you won’t need to implement new managers for file io, as by design, credentials are an instance of dict and will only contain json types (str, number, array, JSONSCHEMA datetime and ISO8601 datetime, etc) to make it easily serializable. First step of OAuth2 authoriztion code flow. Creates an OAuth2 authorization URI. Specifies any string value that your application uses to maintain state between your authorization request and the authorization server’s response. The server returns the exact value that you send as a name=value pair in the hash (#) fragment of the redirect_uri after the user consents to or denies your application’s access request. If no state is passed, this method will generate and add a secret token to user_creds['state']. Since your redirect_uri can be guessed, using a state value can increase your assurance that an incoming connection is the result of an authentication request. If you generate a random string or encode the hash of a cookie or another value that captures the client’s state, you can validate the response to additionally ensure that the request and response originated in the same browser, providing protection against attacks such as cross-site request forgery. Enables applications to use incremental authorization to request access to additional scopes in context. If you set this parameter’s value to True and the authorization request is granted, then the new access token will also cover any scopes to which the user previously granted the application access. If your application knows which user is trying to authenticate, it can use this parameter to provide a hint to the Google Authentication Server. The server uses the hint to simplify the login flow either by prefilling the email field in the sign-in form or by selecting the appropriate multi-login session. Set the parameter value to an email address or sub identifier, which is equivalent to the user’s Google ID. This can help you avoid problems that occur if your app logs in the wrong user account. A space-delimited, case-sensitive list of prompts to present the user. If you don’t specify this parameter, the user will be prompted only the first time your app requests access. None : Default: Do not display any authentication or consent screens. Must not be specified with other values. 'consent' : Prompt the user for consent. 'select_account' : Prompt the user to select an account. It is highly recommended that you don’t leave state as None in production. It is recommended that your application requests access to authorization scopes in context whenever possible. By requesting access to user data in context, via incremental authorization, you help users to more easily understand why your application needs the access it is requesting. If your response endpoint renders an HTML page, any resources on that page will be able to see the authorization code in the URL. Scripts can read the URL directly, and the URL in the Referer HTTP header may be sent to any or all resources on the page. Carefully consider whether you want to send authorization credentials to all resources on that page (especially third-party scripts such as social plugins and analytics). To avoid this issue, it’s recommend that the server first handle the request, then redirect to another URL that doesn’t include the response parameters. Checks if oauth2 user_creds dict has sufficient scopes for a method call. This method doesn’t check whether creds are refreshed or valid. nonce (str) – A random value generated by your app that enables replay protection. An ASCII string value for specifying how the authorization server displays the authentication and consent user interface pages. openid.realm is a parameter from the OpenID 2.0 protocol. It is used in OpenID 2.0 requests to signify the URL-space for which an authentication request is valid. Use openid.realm if you are migrating an existing application from OpenID 2.0 to OpenID Connect. The hd (hosted domain) parameter streamlines the login process for G Suite hosted accounts. By including the domain of the G Suite user (for example, mycollege.edu), you can indicate that the account selection UI should be optimized for accounts at that domain. To optimize for G Suite accounts generally instead of just one domain, use an asterisk: hd=*. Don’t rely on this UI optimization to control who can access your app, as client-side requests can be modified. Be sure to validate that the returned ID token has an hd claim value that matches what you expect (e.g. mycolledge.edu). Unlike the request parameter, the ID token claim is contained within a security token from Google, so the value can be trusted. Unless you’re building a speed critical application AND you’re receiving your tokens directly from Google, you should leave this as True. Implements the JWT Profile for OAuth 2.0 Authorization Grants. Get user information after performing an OpenID connect flow. Use this method instead of people.get (Google+ API) when you need the OpenID Connect format. This method is not discoverable nor is it in the Google API client libraries. upload_path (str) – The URI path to be used for upload. Should be used in conjunction with the rootURL property at the API-level. mime_range (list) – list of MIME Media Ranges for acceptable media uploads to this method. multipart (bool) – True if this endpoint supports upload multipart media. chunksize (int) – Size of a chunk of bytes that a session should read at a time when uploading in multipart. Request class for the whole library. Auth Managers, GoogleAPI and Sessions should all use this. callback (callable) – Synchronous callback that takes the content of the response as the only argument. Should also return content. This module misses a lot of the features provided with more advanced jsonschema validators e.g. For a more efficient use of your quota use partial responses. One of the main objectives of this library is to act as a layer of abstraction over discovery documents. All contributions are welcome :). Check: https://github.com/omarryhan/aiogoogle/blob/master/CONTRIBUTING.md for some ideas. © Copyright 2018, Omar Ryhan Revision 6f702c0d.